With Christmas just days away I thought of the perfect post to share for this week’s Flashback Friday. I’m not exactly sure where people shop for their Christmas decorations and other items associated with the holiday. 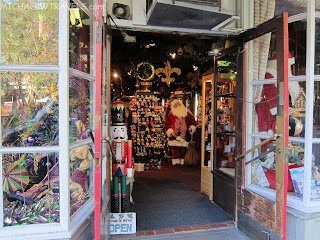 However, while visiting New Orleans back in May I think we found possibly the best Christmas store in the world. This post was originally published on August 2, 2013. This past May we went on a trip to New Orleans. We had a great time and the city quickly became one of our favorites in the United States. We had to shorten the length of our visit due to an invitation to attend a travel blogging conference called BAcon. There is a lot to do in N.O. so I’m sure that we’ll get back there at some point, hopefully sooner than later. While walking around the French Market District we came across a store that seemed to be just a bit out of place. We were walking back towards our hotel when we saw a sign for Santa’s Quarters, a store specializing in anything you could imagine about Christmas. At first I thought that it could be a seasonal store, only open around the holidays but the doors were open with Santa standing inside, near the entrance. I couldn’t imagine what this store had to do with New Orleans and why it was opened in this particular area but we had to go in for a look. Kim, Lucas and I do not celebrate Christmas so this was probably the first time any of us had taken pictures with Saint Nick. We then moved on and checked out the store to see what they had for sale. We walked around a couple of aisles and were a bit overwhelmed. The aisles were full of Christmas related items, many very shiny and some looked similar to other items. I saw lots of decorations, wreaths, lights and ornaments throughout. The store was a change of pace and definitely interesting to check out while walking around. I was surprised to see some people actually shopping at Santa’s Quarters and was curious to find out how business was on a daily basis with Christmas being over 6 months away. The cashier (Santa’s helper) told me that the store did very well throughout the year and has been in business for over 30 years. 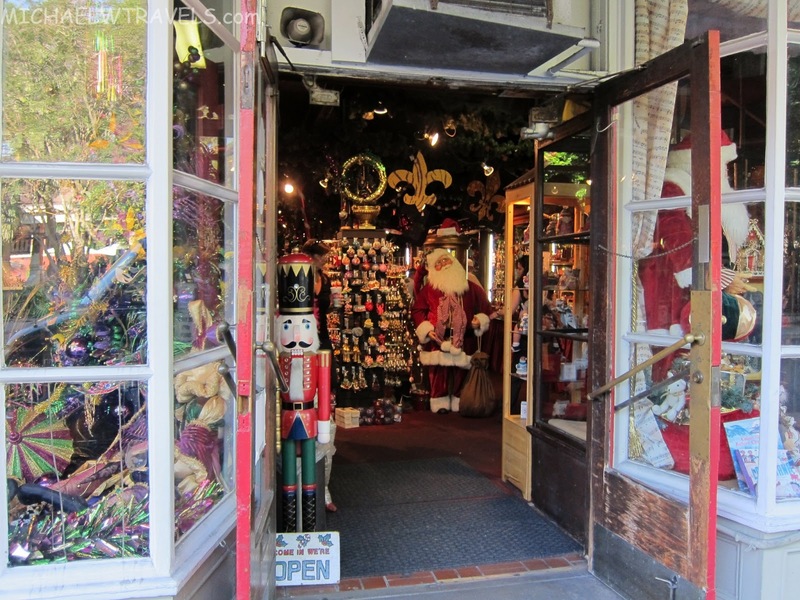 If you plan to visit New Orleans and want to check out something a little different then I’d recommend stopping by Santa’s Quarters! That’s all for this weeks Flashback Friday. I hope that those of you that celebrate have a very Merry Christmas. If you’ve seen other Christmas specific stores, let us know where it was.